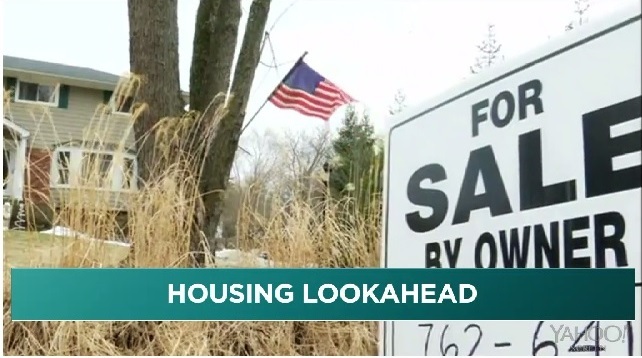 Housing market stuck in downward spiral? The link above goes to a Yahoo article with a video. Yahoo did a great job with the title, as it gets your attention and maybe your reaction was similar to mine: "downward spiral" ? ... What? Instead of disputing that and sharing Boise-area numbers, I prefer to hammer on some of the other statements, and I do understand that the Boise market is different than the nation as a whole. For example, Shari Olefson "sees more potential buyers turning into renters and believes there's a lack of suitable housing and loan products for what people can afford now." Let's start with the first part of the quote regarding renters. Renters. Yes, there seems to be a growing preference to rent over buy. Some say this is because many saw friends and relatives lose their homes after the crash and don't want to take the risk. Others prefer to rent because they don't want to have to worry about maintenance. Or, they want the flexibility to move easily without having to worry about selling and figuring out if they have to sell first in order to buy at the new location. In so many ways, renting is the easier approach and could even be the cheaper approach. Lack of suitable housing. I am getting ready to list a 13-year-old, 1300-square-foot home with a 2-car garage for $150,000. With FHA or IHFA financing, a buyer could get in with as little as $4,500 down. Actually, even less if the deal were structured differently. So, in at least the Boise market, there is affordable housing. Albeit it, if you want granite counter tops, and custom trim work, and the other "mack daddy" features, you are going to have to spend more. Or, you can rent something with those features, and perhaps spend less. Typically the advantage of renting improves with the higher the value of the house they are renting. Loan products. Come on. In the example I gave above, the buyers could be in a home for as little as $4,500. Let's not fall in that trap again. If we had a higher down payment and reserve requirements in 2005-2008, we probably wouldn't have seen values spike the way they did and we probably wouldn't have had a crash like we did. So no need for this "economic stimulus." Let the market be the market and let's quit playing around with interest rates and loan packages to try to help. Oh, in the example I've been using, the buyer's PITI would be less than the rent. But, they can't just up and leave any time they want. They have to maintain the home at their expense. And, there is no guarantee that values will improve or won't fall back. Today, with so many disposable products in people's lives, does it not surprise us that people see renting as the more immediate and flexible option. Then my last remarks are about the cost of multi-family and single-family construction. Hey, the builders are following the demand. It's cheaper to build multi-family real estate. You can build multi-family with the same amenities as a "mack daddy" home, for less, for so many reasons. One is density, such as land prices, more units on a single foundation, building vertical, common walls, etc. Multi-family sells for less per unit not to undercut single-family homes, but simply because it is cheaper to build.